A native of Los Angeles, Fr. Beto attended public schools in East Los Angeles and graduated from La Puente High School. After earning a Bachelor’s degree from UCLA, where he was a pre-med student, he entered St. John’s Seminary and was awarded the Master of Divinity. Fr. Beto was ordained a priest of the Archdiocese of Los Angeles in 1985. His early assignments took him to St. John of God parish in Norwalk and to Epiphany Church, South El Monte. At this point, Fr. Beto’s career turned toward high school administration. He was an administrator at Pius X High School, Downey, and Assistant Principal at Bishop Alemany High School, Mission Hills. During this time, he earned a Master of Arts degree in school administration from St. Mary’s University, San Antonio, Texas. In 2001, after ten years in school administration, Fr. Beto returned to parish ministry. 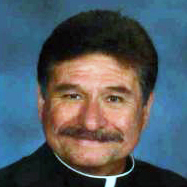 He served two years as Associate Pastor at Nativity parish, El Monte, and one year as Administrator at Sacred Heart church, Lincoln Heights. He returned to Nativity, as Administrator, and was then named Pastor. He comes to St. Joseph the Worker following sixteen years at Nativity parish. Fr. Thuan Nguyen joined the Vietnamese Dominican vocation center at the age of thirteen where he completed studies in philosophy and theology. 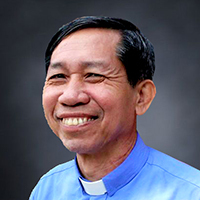 When the government of Vietnam did not allow his ordination, he escaped his homeland and lived in a refugee camp in Thailand for nearly two years. He eventually settled in Canada, in 1989, and was ordained there in 1993. From 1993 to 1996, he served as associate pastor in three different parishes. After further study in Northern California, he relocated to Most Holy Trinity church in Phoenix, Arizona, a multicultural Dominican parish. Fr. 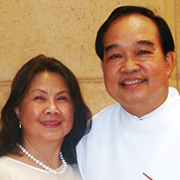 Thuan then served as pastor of Vietnamese Martyrs parish in Phoenix for ten years while also leading the Vietnamese community in the Phoenix diocese before coming to the Archdiocese of Los Angeles. Prior to joining the pastoral staff of St. Joseph the Worker, he was associate pastor at Our Lady of the Assumption parish in Claremont. Fr. Roberto Rueda was ordained in 1997 and has ministered in Spain, Brazil, Mexico, Italy, the Philippines, and now in the United States. From Toledo, Spain, he entered the minor seminary at the age of twelve. He studied classical humanities in Salamanca, Spain, and completed his priestly training in philosophy and theology at the Pontifical Gregorian University in Rome. He earned a master’s degree and doctorate at the Pontifical Athenaeum Regina Apostolorum, also in Rome. 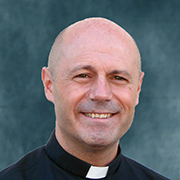 Since his arrival in the Archdiocese of Los Angeles in 2013, Fr. 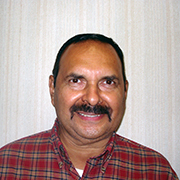 Roberto has served at Resurrection Church and St. Michael Church. He serves the archdiocese as theological and spiritual advisor for Spanish Catholic Charismatic Renewal. He came to St. Joseph the Worker in July 2016. Deacon Augusto and Onie Mora have been parishioners since 1986. Deacon “Gus,” a retired attorney, was ordained to the Permanent Diaconate June 8, 2013, at the Cathedral of Our lady of the Angels. As deacon, he assists the pastor at Mass and sometimes preaches, performs the sacrament of baptism, presides at gravesite services and funerals, witnesses weddings, visits the sick, and conducts retreats and days of recollection. He has served in many areas of parish ministry: Finance Council, Lector, Eucharistic Minister, 9:30 Choir, English Charismatic Prayer Group, Bible Study (facilitator), and Bereavement Ministry. Onie supports Gus in his diaconal ministry and assists in the celebration of the sacraments. She has served our parish as Eucharistic Minister, in the Bereavement Ministry, and volunteers in the Gift Shop. CJ Kruska was named principal of St. Joseph the Worker School in July 2016. His career in Catholic education began right here in our parish when he joined our school faculty in 2000. He taught all grades from kindergarten through eighth grade. After moving from St. Joseph the Worker School to Bishop Alemany High School, he coached and taught in the religion, mathematics, and social studies departments. He also served the Alemany Community as the Director of Alumni and Public Relations and was a founding member of a successful Marketing and Outreach Team, which led to his appointment as principal of St. Catherine of Siena School in Reseda. Mr. Kruska earned a B.A. in psychology from Sonoma State University and an M.A. in education from Loyola Marymount University, Los Angeles. Polly works part-time as evening receptionist in the Parish Center. She welcomes visitors and responds to a variety of requests for information about the parish. Polly also records Baptisms and Confirmations in the parish sacramental books. She also assists the parish St. Vincent de Paul Society in providing hot lunch for the homeless in our community. Angela supervises the front office staff; maintains sacramental records; handles facility scheduling; assists with funeral arrangements; and prepares the weekly bulletin for publication. She handles Mass intentions and manages Together in Mission records. Bilingual (Spanish/English), Angela translates many parish documents and prepares the petitions and announcements for the Spanish Masses. She has been part of the parish staff since 1994. 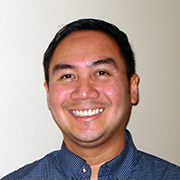 JP Fernandez has served in Youth Ministry and has led the Confirmation process around the Archdiocese of Los Angeles since 1993. He holds Bachelor of Science in Business Management from the University of Phoenix, the National Certificate in Comprehensive Youth Ministry from the Center for Ministry Development, and the Catechist/Confirmation Coordinator Certificate from the Archdiocese of Los Angeles. He is a member of the National Association for Catholic Youth Ministry Leaders. JP’s faith journey began at an early age with the Jesuits and the Salesians of Don Bosco. His approach to Youth Ministry incorporates some of their philosophies. His role is to collaborate with parish departments and ministries to give our youth opportunities to lead our church today. He coordinates the Confirmation process as well as the components of the Youth Ministry program, which include prayer and worship, advocacy, leadership development, catechesis, evangelization, justice and service, community life, and pastoral care. Manuel knows our parish well. He met his wife here, was married here, and his children were baptized at St. Joseph the Worker. Manuel works evenings and Saturday mornings cleaning and caring for the general maintenance of the church and Conference Center Hall. Letty’s is the friendly voice you hear when you call the Parish Center during daytime office hours. She handles an array of requests from visitors and parishioners, and connects people with the parish staff member, clergy, or ministry leader who can best be of service. She does data input into the parish database and prepares donor acknowledgments; records Mass intentions; and prepares Baptism, First Communion, and Confirmation certificates. 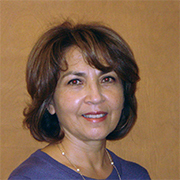 She joined the parish staff in 2004. Bill oversees the faith formation program, including RCIA, Adult Education, Confirmation, and the Religious Education program for elementary and middle school students. 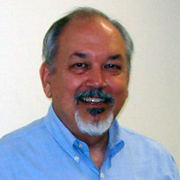 Bill is a Certified Catechist and a graduate of the Catholic Bible Institute at Loyola Marymount University. He is also in charge of the parish computer network. Bill has been a parishioner since the early 1970s. Before joining the parish staff, he received electronics training in the U.S. Air force and worked in data communications development and manufacturing in the private sector. The Parish Business Manager is responsible for the effective administration of parish human, financial, and capital resources. 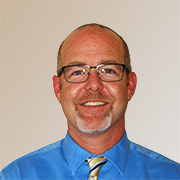 Mike monitors monthly income and expense; handles purchasing and bill payment; supervises the maintenance staff; authorizes routine plant maintenance; and manages major repairs and renovation. Active in the community as well, Mike promotes the contributions of our parish ministries to community well-being and works to maintain effective neighbor relations. Mike and his family have been parishioners since 1994. 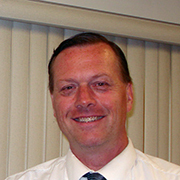 Mike joined the parish staff in June 2002. 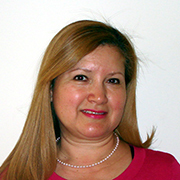 A parishioner since 1993, Karina came to the Parish Center staff in January 1997. 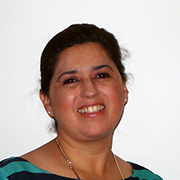 She manages the Religious Education program, with an enrollment of approximately 400 students and classes in English and Spanish. She administers the program budget; manages a team of volunteer catechists; overseas the registration and orientation process each fall; and conducts parent meetings. In collaboration with the Director of Music and Liturgy, Faith Formation Director, and St. Joseph the Worker School staff, she plans sacramental celebrations.